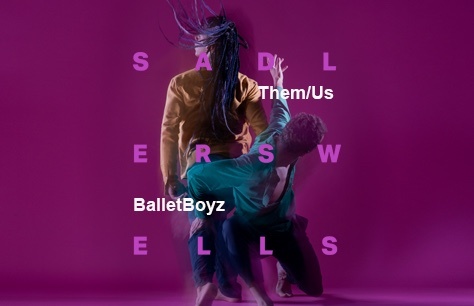 BalletBoyz has always been a company to forge exciting new collaborations and create inventive new projects. The internationally celebrated company’s latest venture, Them/Us, is created closely with the dancers of the company and the Olivier Award-winning choreographer and Sadler’s Wells Associate Artist Christopher Wheeldon (whose work is also part of San Francisco Ballet’s Programme D). Set to contrasting scores by cult singer-songwriter Keaton Henson and emerging composer Charlotte Harding, this innovative double-bill asks where we see ourselves in relation to the “other,” and explores the fine balance between them and us. Great venue and a mesmerising performance. Well done lads!